Latest X lands from Michelin. The 155R15 X is in stock now at Vintage Tyres! - Vintage Tyres Latest X lands from Michelin. The 155R15 X is in stock now at Vintage Tyres! 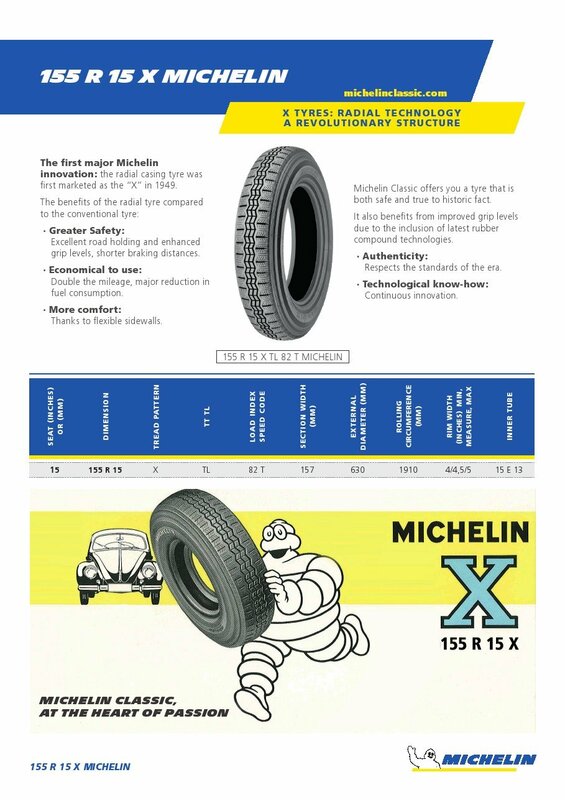 Latest X lands from Michelin. The 155R15 X is in stock now at Vintage Tyres! The latest addition to the Michelin classic range, the 155 R15 X, has just arrived at Vintage Tyres. 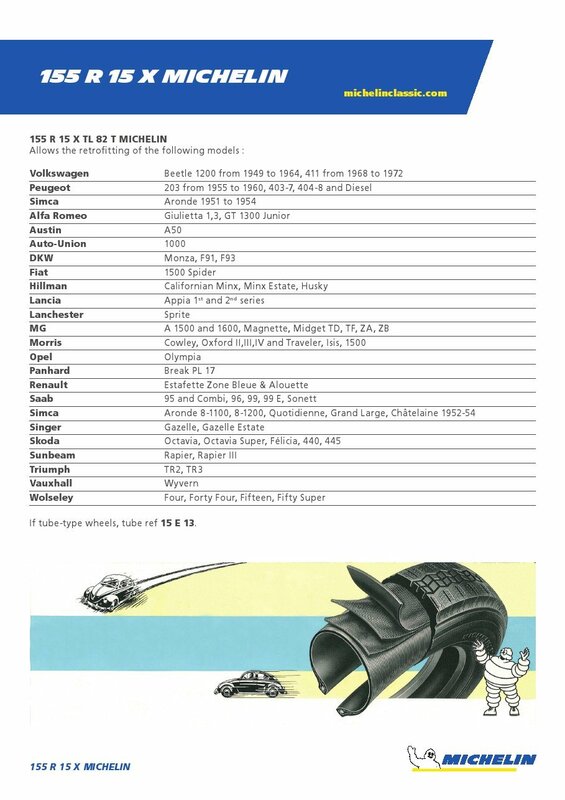 Great news for Beetle owners, but this iconic X-pattern tyre fits a wide range of classic cars from Alfa through to Wolseley. See the second page of the information sheet below for a full fitment list.